If you time things right with this meal it shouldn’t take too long to make, and it is vegetarian. This can easily be made vegan by just leaving off the cheese though. My one piece of advise for this is to start the quinoa and roasting of the tomatillos and poblano first thing. 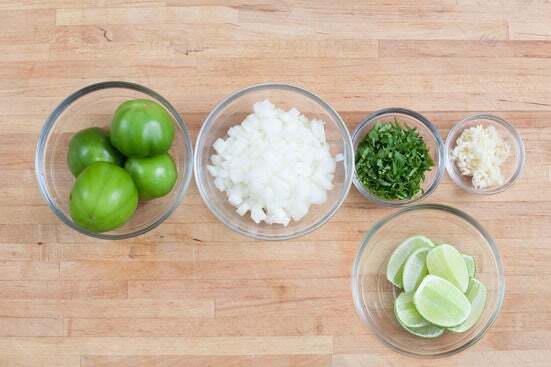 Those take the longest to cook, so while they are cooking you can do the rest of your prep work, like cutting the onion and mincing the garlic. Also, if you are adverse to heat, which I am not, remove the seeds from the poblano before you chop it up. I love things spicy, so i was happy to leave them in. Preheat the oven to 500°F. Heat a medium pot of salted water to boiling on high. 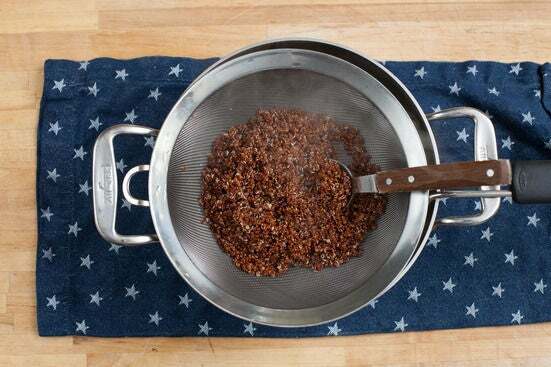 Thoroughly rinse the quinoa under cold water. Once the pot of water is boiling, add the quinoa and cook 18 to 20 minutes, or until tender. Drain thoroughly and transfer to a medium bowl. Rinse and dry the pot. While the quinoa cooks, wash and dry the fresh produce. 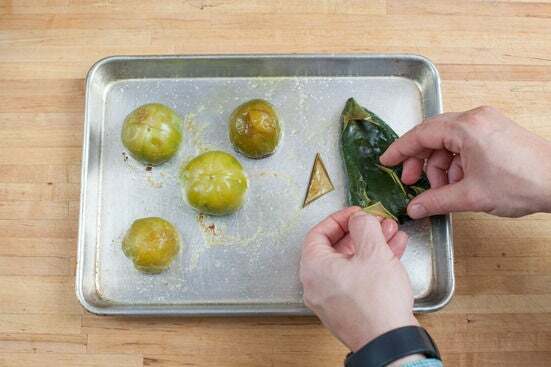 Remove and discard the papery husks of the tomatillos. Pick the cilantro leaves off the stems; discard the stems and roughly chop the leaves. While the quinoa continues to cook, place the poblano pepper and tomatillos on a sheet pan. Drizzle with olive oil and season with salt and pepper; toss to coat. Roast in the oven 9 to 11 minutes, or until the poblano pepper is browned. Remove from the oven, leaving the oven on. When cool enough to handle, carefully remove and discard the skin, stem, ribs and seeds of the poblano pepper. Finely chop the poblano pepper and tomatillos. In the pot used to cook the quinoa, heat 2 teaspoons of olive oil on medium-high until hot. Add the garlic and onion; season with salt and pepper. Cook, stirring occasionally, 2 to 4 minutes, or until softened. 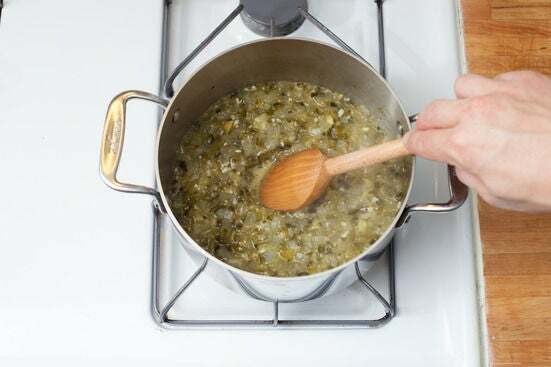 Stir in the roasted poblano pepper and tomatillos and ½ cup of water; season with salt and pepper. Simmer, stirring occasionally, 4 to 6 minutes, or until thickened and slightly reduced in volume. Remove from heat and stir in the juice of 2 lime wedges. While the salsa verde simmers, drain and rinse the beans. To the bowl of cooked quinoa, add the drained beans, cumin, half the cilantro and the juice of 2 lime wedges. Drizzle with olive oil and stir to thoroughly combine; season with salt and pepper to taste. Evenly spread about ½ cup of the filling onto the bottom of a baking dish. Place the tortillas on a clean, dry work surface. 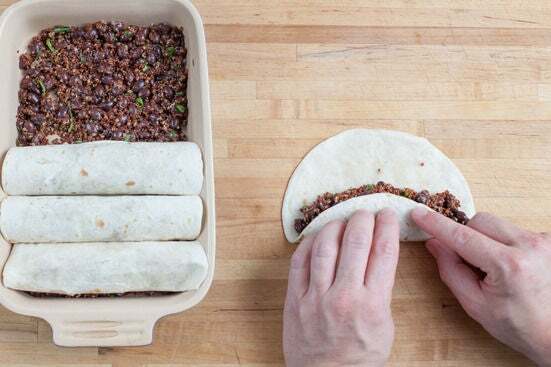 Divide the remaining filling between the centers of the tortillas; tightly roll up each tortilla around the filling. Transfer to the prepared baking dish, seam sides down, in a single layer. 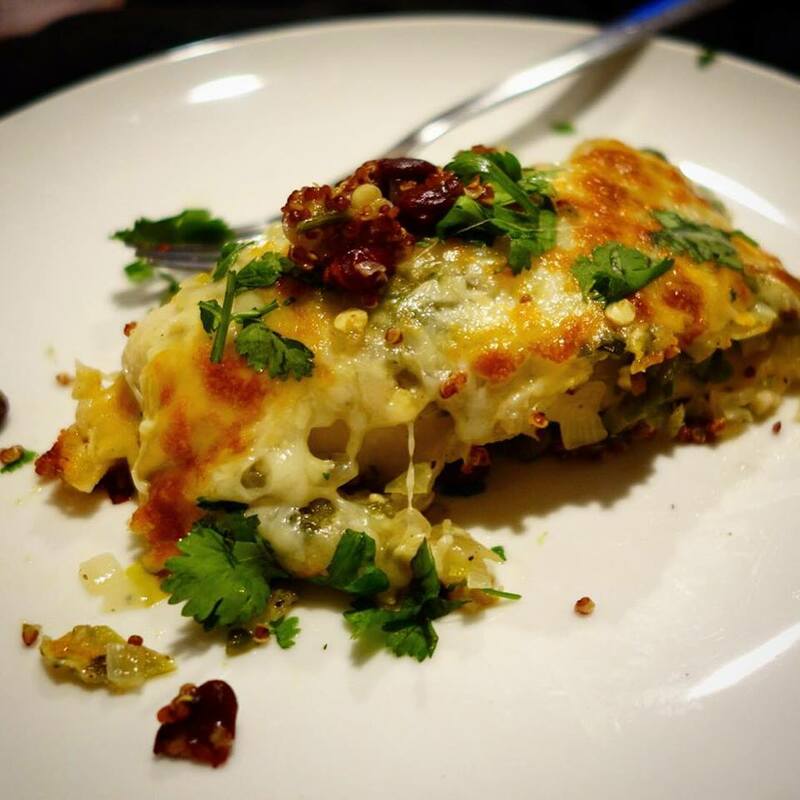 Top the assembled enchiladas with the salsa verde and Monterey Jack cheese; season with salt and pepper. 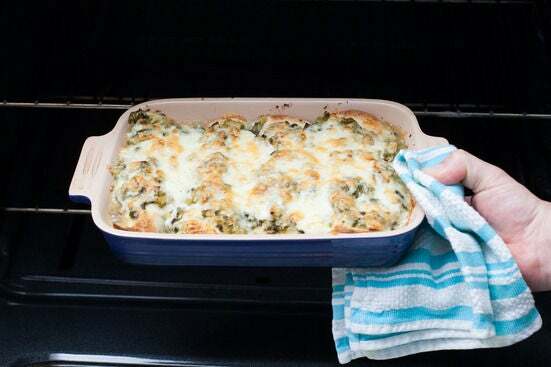 Bake 8 to 10 minutes, or until the cheese is bubbly and lightly browned. Remove from the oven. Let stand for at least 2 minutes before serving. Garnish with the remaining cilantro. Serve with the remaining lime wedges on the side. Enjoy!